Spoiler Alert! The Westmore Family in Blue, Gray & Crimson stay at their home through the battle and aftermath, but not every Gettysburg family did. Some, like the Thorn Family, left their home because the officers ordered them to leave. Many others departed to get to a safer location away from the battle. However, there is one group of Gettysburg civilians who fled or hid to maintain their freedom. I wasn’t able to work their history into my recent novel, but I think it would be wrong to not share their story in our “Back to Gettysburg” series. 8% of Gettysburg’s pre-battle population were free African Americans. Located just seven miles north of the Mason-Dixon line, Gettysburg had a couple known”safe houses” on the Underground Railroad in or near town. Some of the escaped slaves wanted to stay closer to the border, hoping family members would join them, or they felt comfortable in the Gettysburg community and didn’t want to risk possibly high prejudice in larger towns farther north. The freemen became part of the Gettysburg community. They worked as hired laborers, often saving enough money to buy small farms in the Cemetery Ridge area. 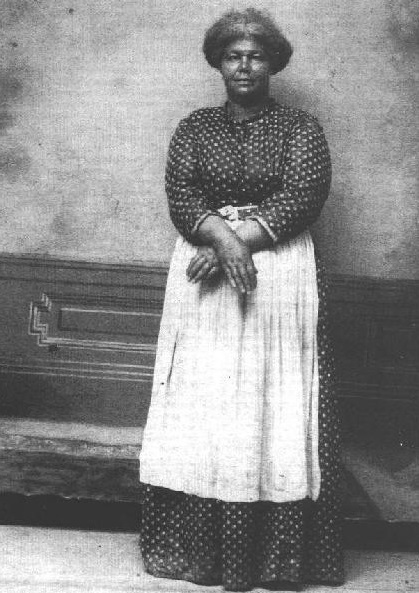 One woman – Mag Palm – worked as an assistant in one of the town shops. On a scary day, some Southerners came into town and tried to forcibly drag her back to slavery; she fought them, and her employer and some other men in town came to her assistance. This incident is one example of the dangers still surrounding the escaped slaves. Fearing capture and deportation back to slavery in the South, the African Americans in Gettysburg were always on the alert. At the first rumors of any Confederate raid, they gathered up their possessions and fled. Now we must address a dark side of the Gettysburg campaign. While it is true that Confederate soldiers were ordered to treat civilians well, that order did not include freemen. Freemen and their families were captured and sent back to slavery during the Gettysburg campaign. The African American community in Gettysburg was terrified. And, sadly, there wasn’t much their neighbors, employers, or abolitionist friends could do to prevent the tragedy. And so, when the campaign rumors began, many African Americans fled the Gettysburg area. Not all fled, though. Several families sheltered and hid their endangered neighbors while the Confederates were in town during the battle. 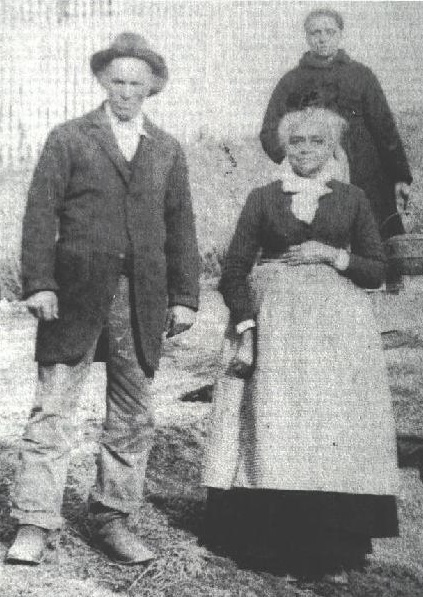 One African American woman and her daughter hurried to the home where they helped with cooking and laundry (they were paid for their work, of course – they weren’t slaves) and begged for assistance. The family devised a hiding place, and the women remained safe throughout the battle. Thanks to their kind-hearted neighbors, these women were spared. We’ve talked about how the farmer’s fields were ruined by the battle and their homes were used as field hospitals. The African American land owners experienced the same hardships, though in some instances the destruction on their property was worse. Not because the armies knew who owned the land and were wantonly malicious, but because of these farms locations. Many of the farms and fields owned by African Americans were along Cemetery Ridge, which became the backbone of the Union position and the point of assault for Confederate attacks. The heavy, concentrated fighting left extreme destruction and the land owners would return to find their crops and hopes ruined. Remember the Gettysburg African Americans worked as hired laborers, if they didn’t own land or a small business. The Gettysburg agricultural economy was in shambles after the battle. There weren’t many fields left to harvest, so their was little paid work available. In the autumn, work on Gettysburg National Cemetery began…and the bodies of Union soldiers had to be removed from their original burial places, transported in coffins, and reburied in the new cemetery. The cemetery planners agreed to paid a minimal sum for each deceased Union soldier transported to the final resting place. Photographic evidence and accounts show that African American men took the job offer – unpleasant as it was – and worked alongside their neighbors, the planners, and the architects to build Gettysburg National Cemetery. The African American community of Gettysburg suffered the same hardships and battle destruction as their neighbors, but their experience was intensified by extreme fear and the need to flee or hide. I wonder if these people were present for the Dedication of the National Cemetery (and Lincoln’s Gettysburg Address). Personally, I think they were there. Quietly, at the edges of the crowd, some of them must have heard Lincoln’s words… They must have rejoiced and wondered at the beautiful meaning behind the president’s words “a new birth of freedom” – that promise that the chains were gone and they were American citizens. P.S. Your thoughts on this topic? Had you ever considered this aspect of Gettysburg’s history before? For older readers (late high-school and up) I’d highly recommend the book The Colors of Courage: Gettysburg’s Forgotten History – Immigrants, Women, and African Americans in the Civil War’s Defining Battle by M.S. Creighton (2005). Have you read it?